The observant reader would perhaps wonder how this is possible as “too big too fail” (TBTF) has been a recurring item on the regulators agenda. As the Fed will naturally bail out large banks next time around as well (remember that the Federal Reserve banks are owned by the member banks, meaning the banks own the money printing press located in the trading room at the New York Federal Reserve Bank), one plausible conclusion seems to be that regulators are only paying lip service to this “problem”. 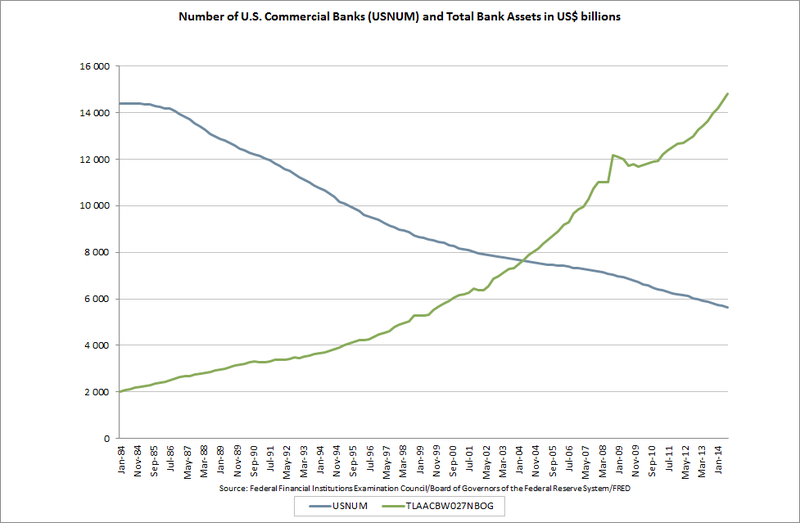 U.S. Banks Are Now Operating With 100% Reserves – Is Full-Reserve Banking The Next Step?